I got tired of editing /etc/hosts 20 times a day. 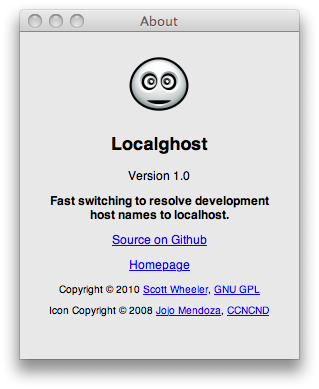 Localghost makes it easy to switch development host names to resolve to localhost with a status item (i.e. 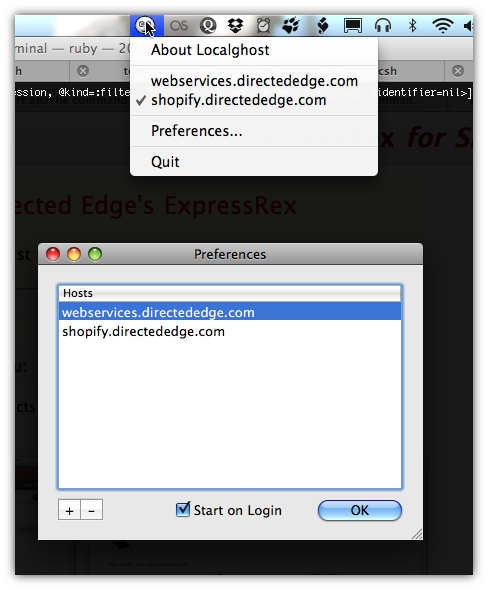 system tray) that adds / removes entries from /etc/hosts.